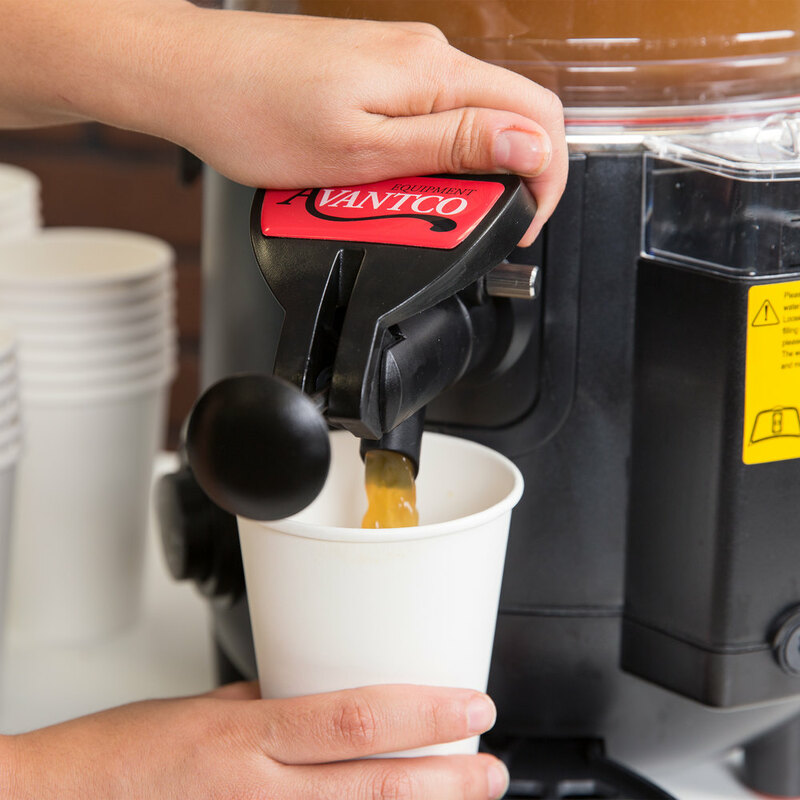 Keep your sweet hot chocolate, savory apple cider, or other hot beverages stirred and ready to serve to your guests by incorporating the Avantco DHC-26 2.6 gallon hot beverage / hot topping dispenser into your equipment lineup! 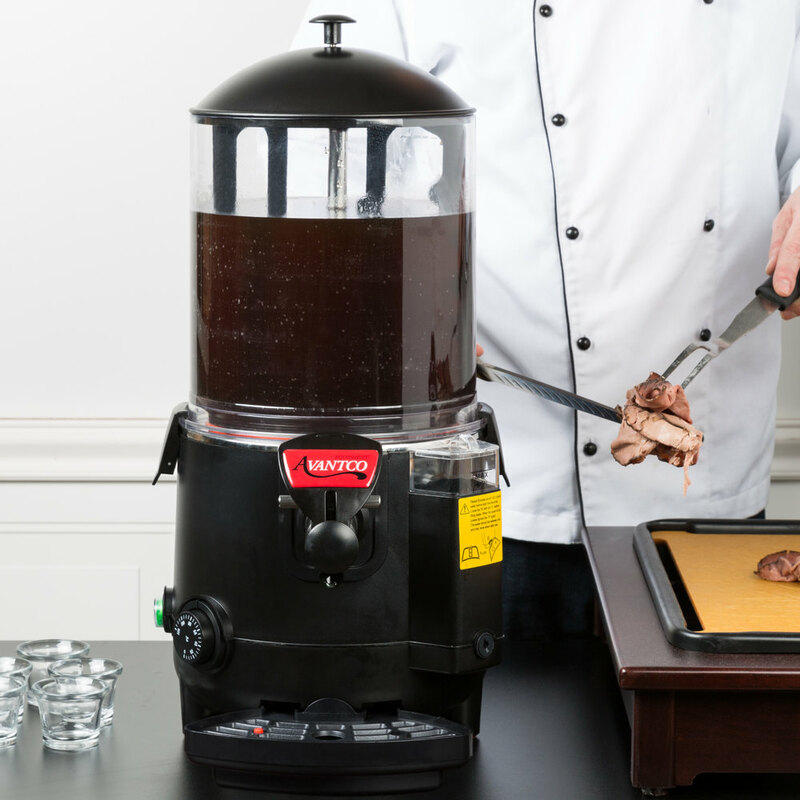 This hot product dispenser features a large 2.6 gallon tank to hold a variety of products, including syrup, gravy, au jus, drawn butter for seafood, and hot chocolate! 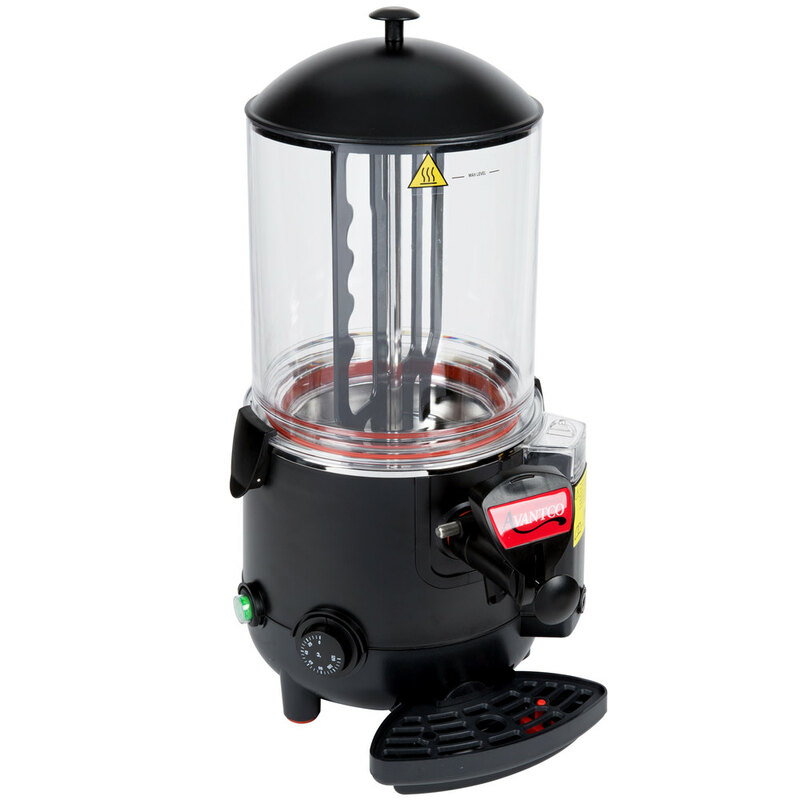 The Avantco DHC-26 features a Bain Marie heating system that keeps the product at the correct serving temperature. 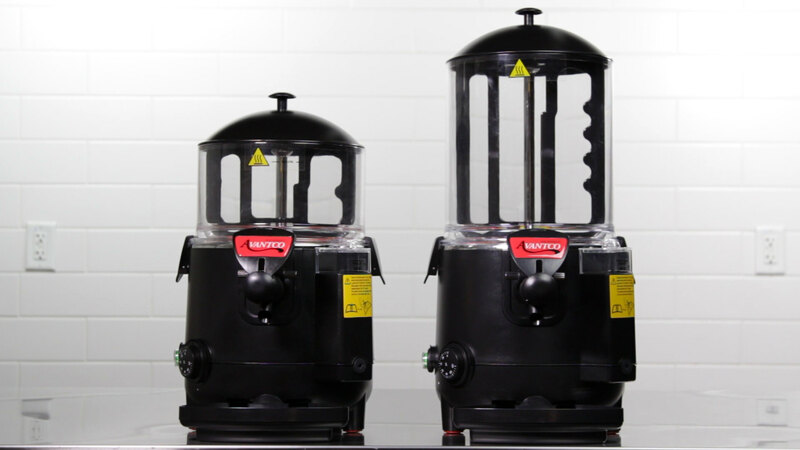 An interior rotating paddle keeps the product consistently mixed and heated for the best customer experience. 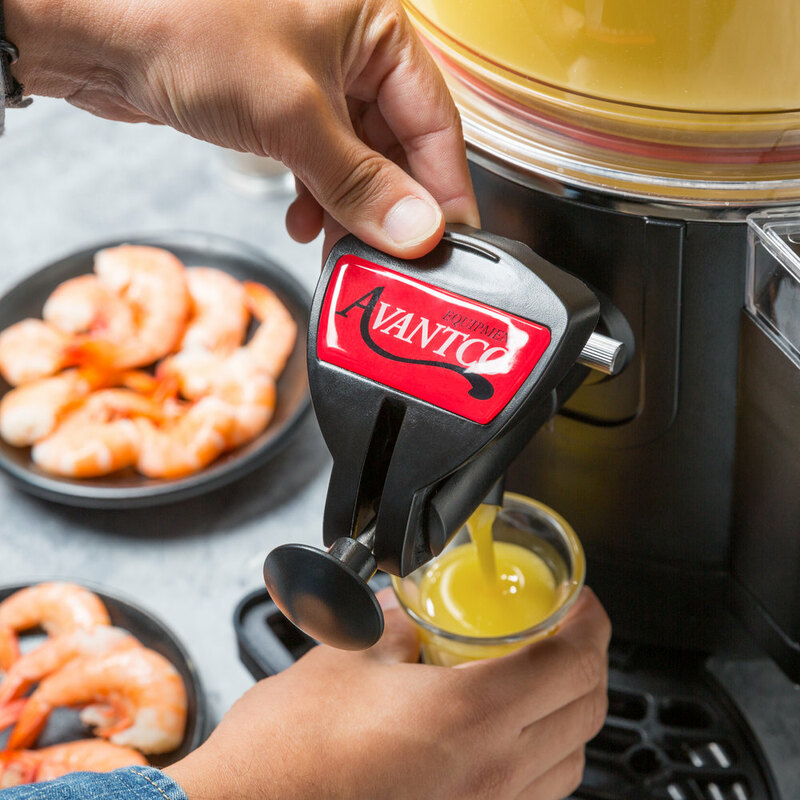 The easy-to-read, adjustable thermostat lets you set the temperature up to 185 degrees Fahrenheit, keeping hot beverages in that optimal serving temperature range of 160 to 185 degrees Fahrenheit. 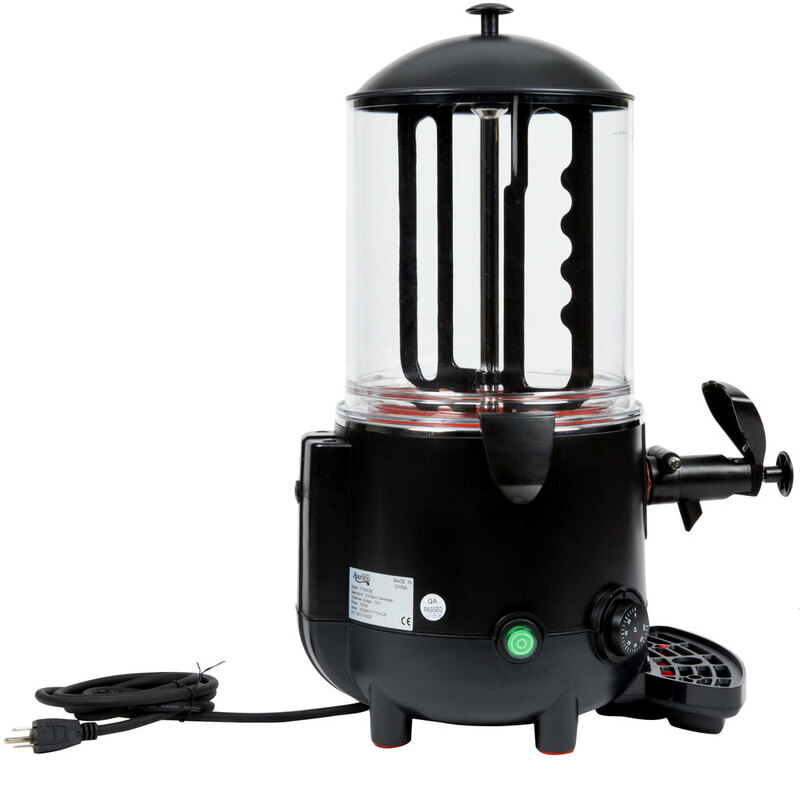 This dispenser features a stainless steel boiling tank and heating element, making it easy to clean and sanitize. Plus, the anti-clogging faucet design prevents down time and makes sure your customers always have access to your products. The front rod on the faucet prevents clogging, and can be adjusted depending on the thickness of the product you are dispensing. A drip tray with a float indicator prevents messy, dangerous spills in case of accidental drips or splashes from overfilled cups. 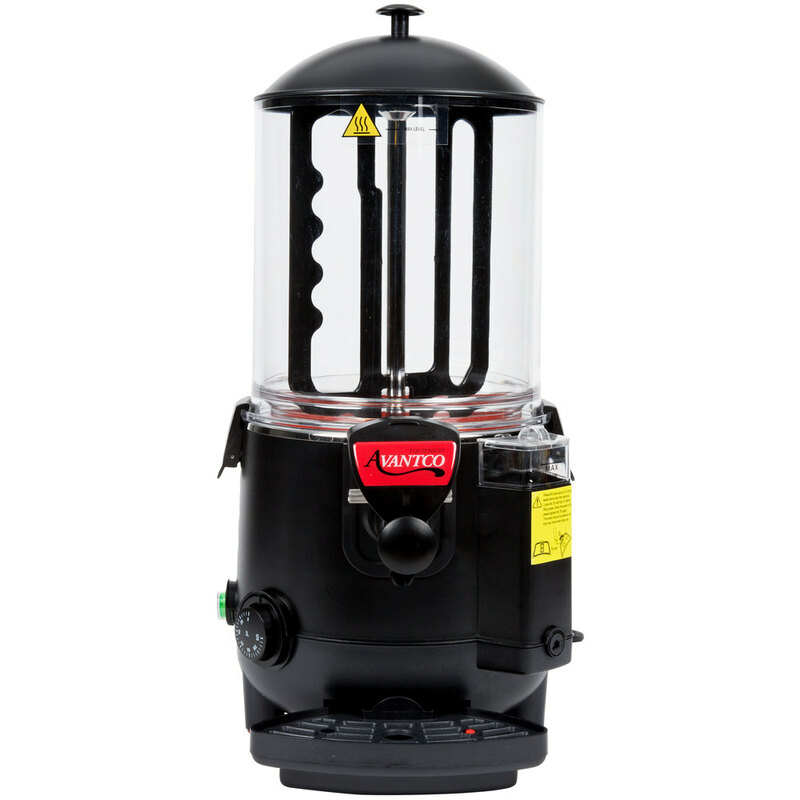 The overheat sensor and reset button also allow for safe operation by preventing the unit from overheating and causing injuries. I've been using this for 2 years and it does the job. 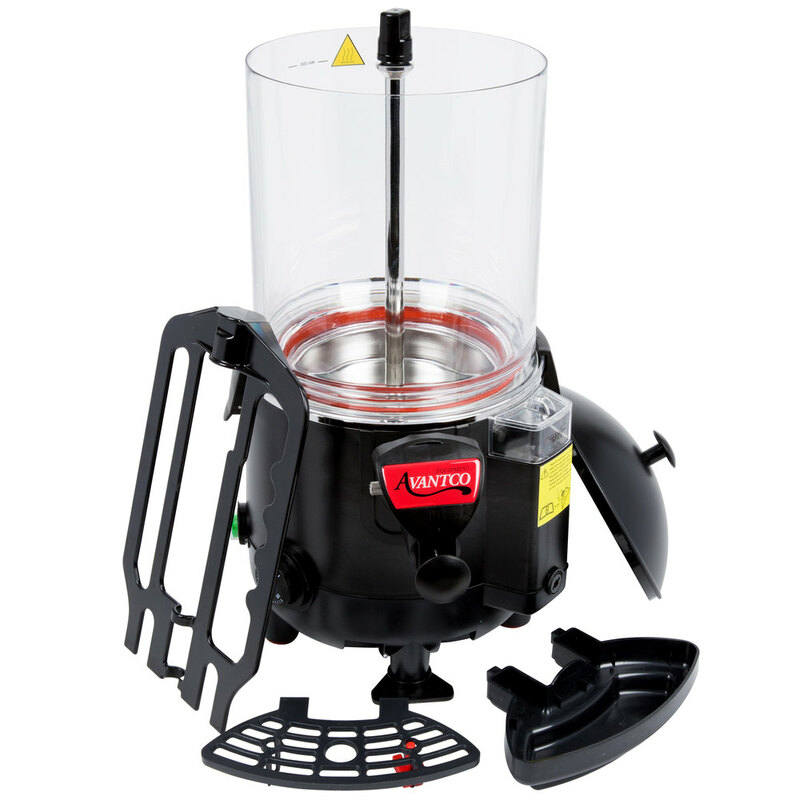 However, within a fee weeks of purchase the water tank started to leak and Avantco customer service was not very helpful. I've also had some issues with the spigot. Not the easiest to disassemble either. 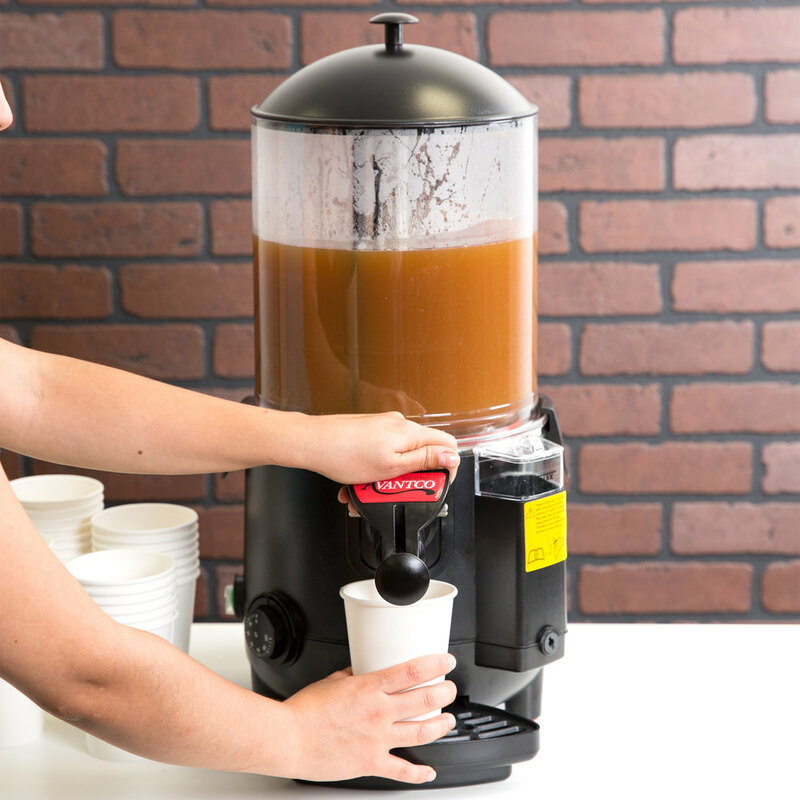 This dispenser works great for our Mexican hot chocolate. It’s meant to MAINTAIN your hot chocokate hot and fresh. So we make it stovetop at our kitchen first, then pour it into this machine for hot holding for our morning customers. work well the first two times we used it but they did not ship the plug for the drain and the one we put in caused the unit to leak water.